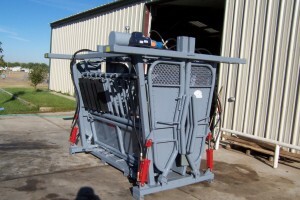 MODEL 5000 SUPER-DUTY XL – Made for the Heaviest Use. 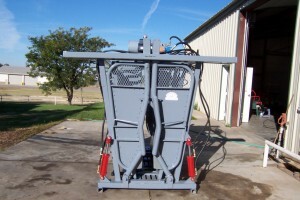 Shown here with hydraulic bottom and rubber blinders. 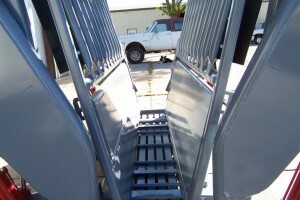 The Super-Duty 5000 “BRUTE” model is the ultimate in hydraulic chutes. From the 3″ x 3″ x 1/4″ frame tubing to the heaviest bushings, this chute surpasses the rest of the industry. 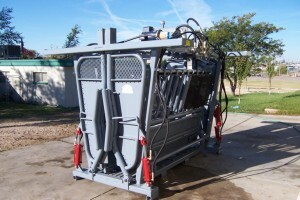 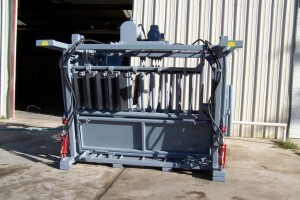 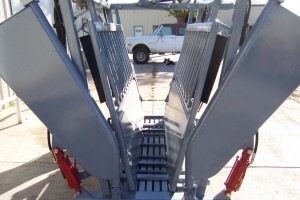 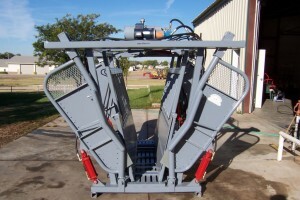 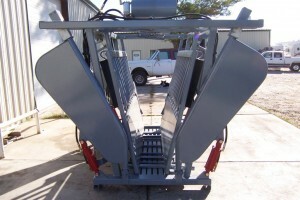 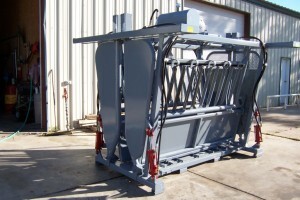 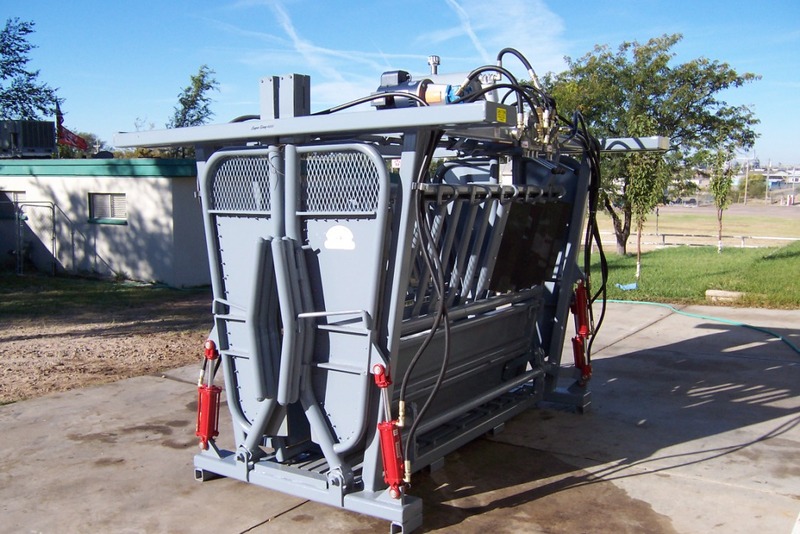 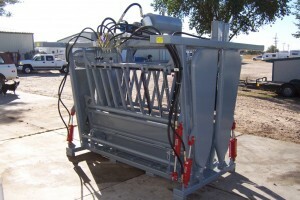 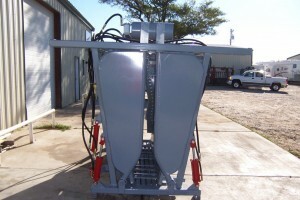 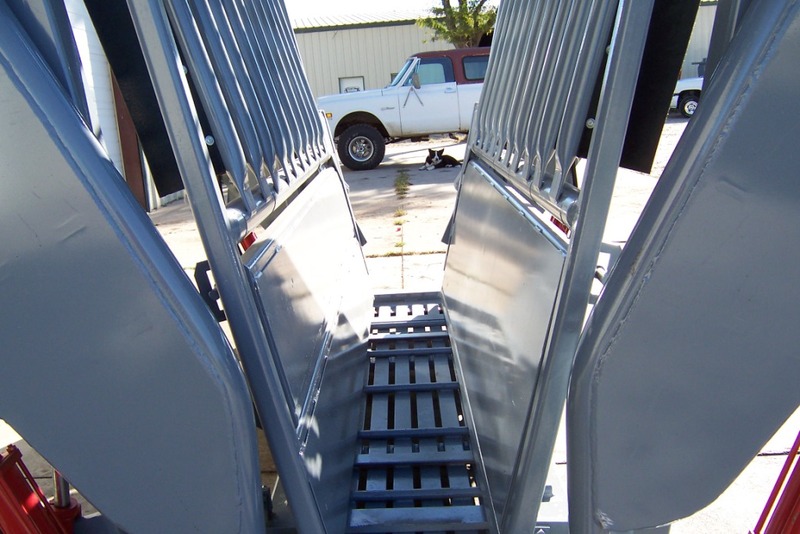 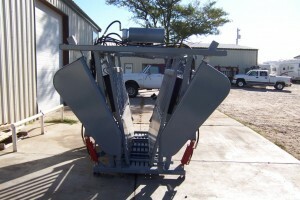 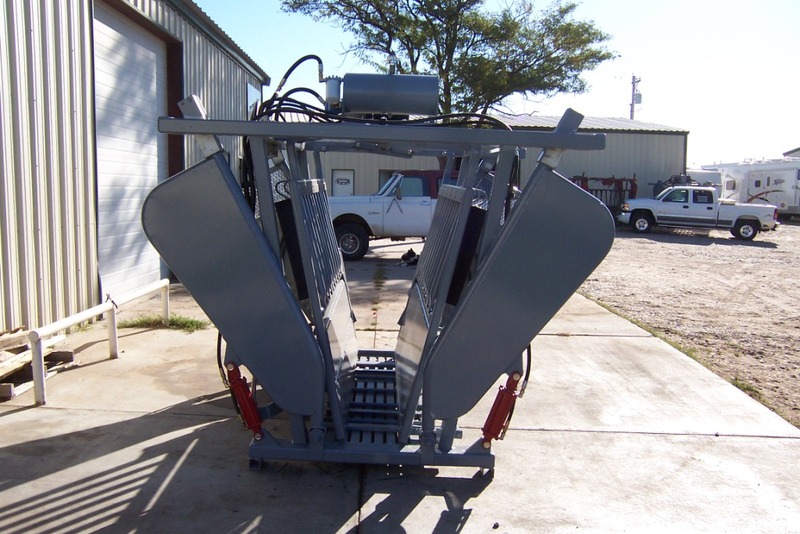 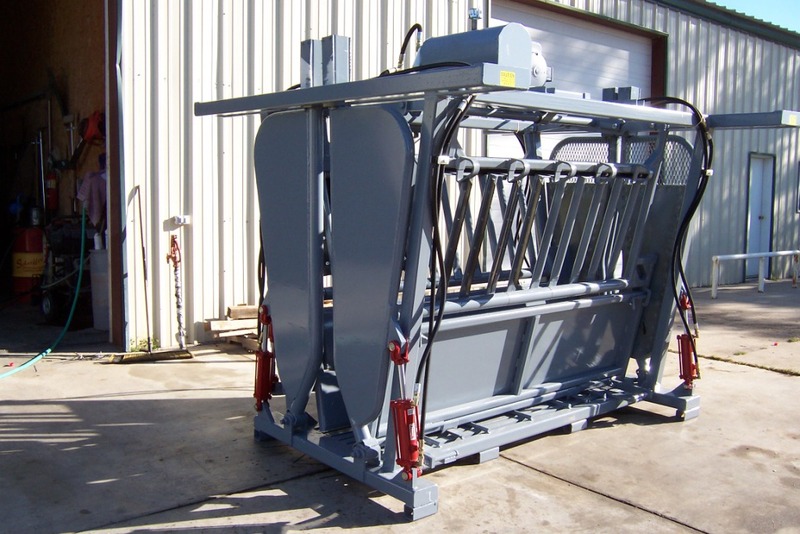 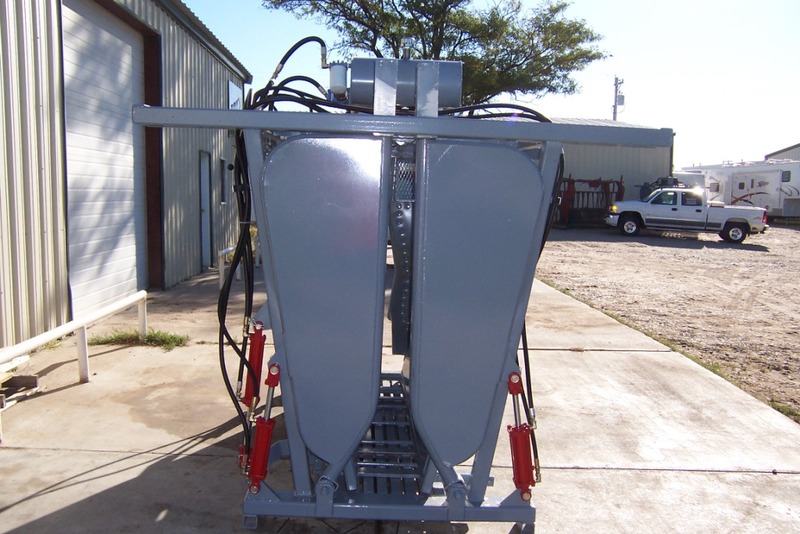 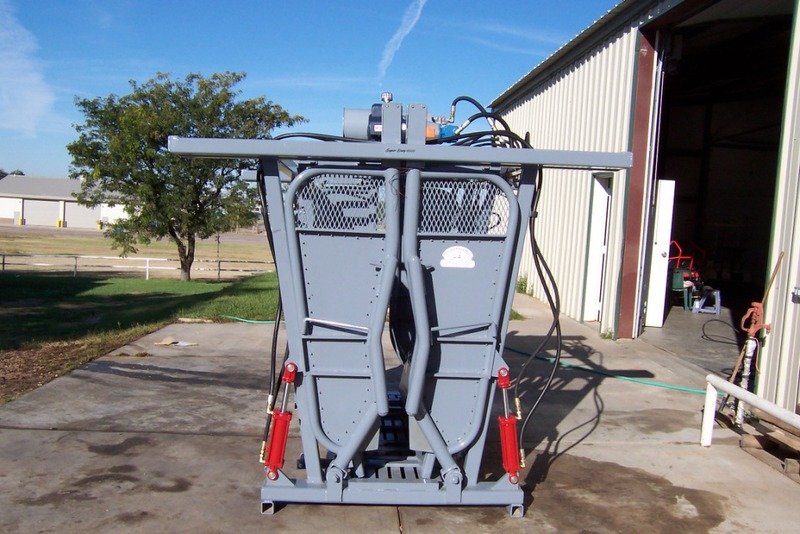 Used by the largest commercial cattle feeders in the world, this chute features clear access on entry and exit, and holds up under heaviest daily usage. 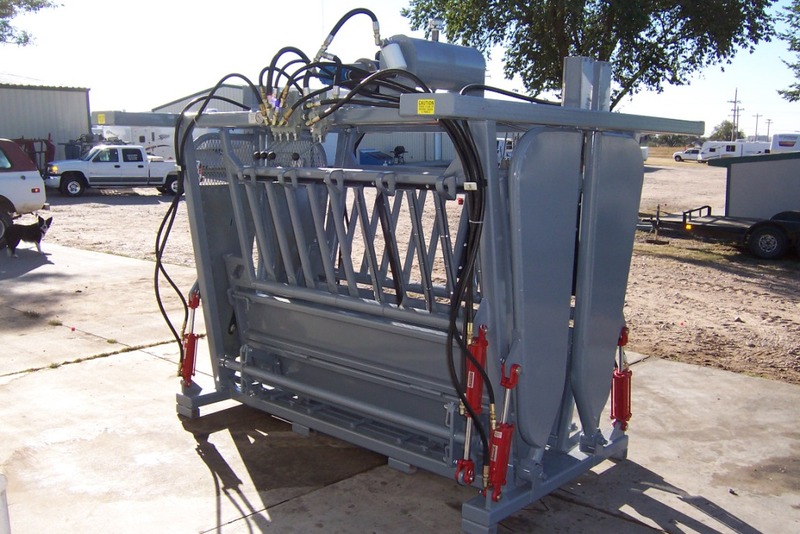 The Model 5000 utilizes 3/16″ plating on the head and tailgates and lower access doors; 3/8″ plate on the floor of the chute; UHMW rub strips on the top of the head and tailgates; 3/4″ rubber padding on the headgates assist in any potential impact; 3 1/2″ VEKTON bushing kits throughout; double impeller twister linkage on the center squeeze mounted on a 2″ solid shaft assembly; neck accessible side panels make giving injections easier. 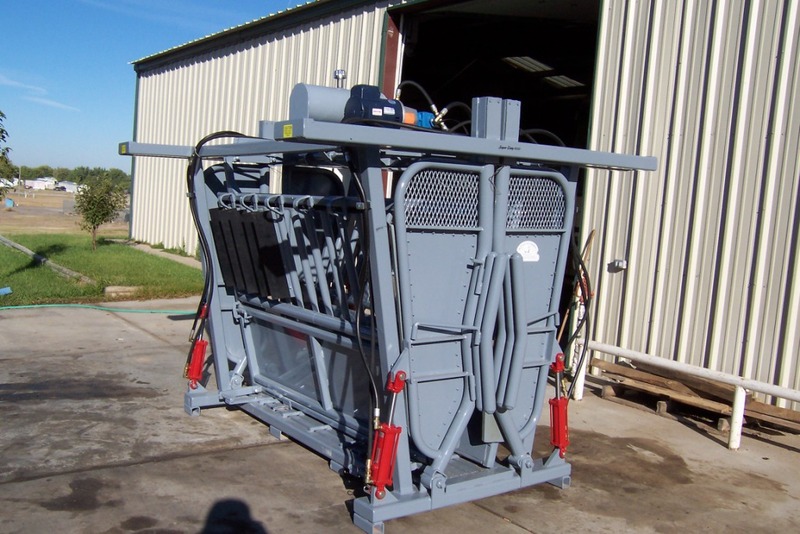 This model comes with a quiet vane pump and motor assembly; dual cylinder operation on the head and tail gates, utilizing a gear driven flow divider; multiple choice of headgate extensions, 1, 2, or 3 pipe removable; 1/4″ tubing frame; and all of the options available on other models. 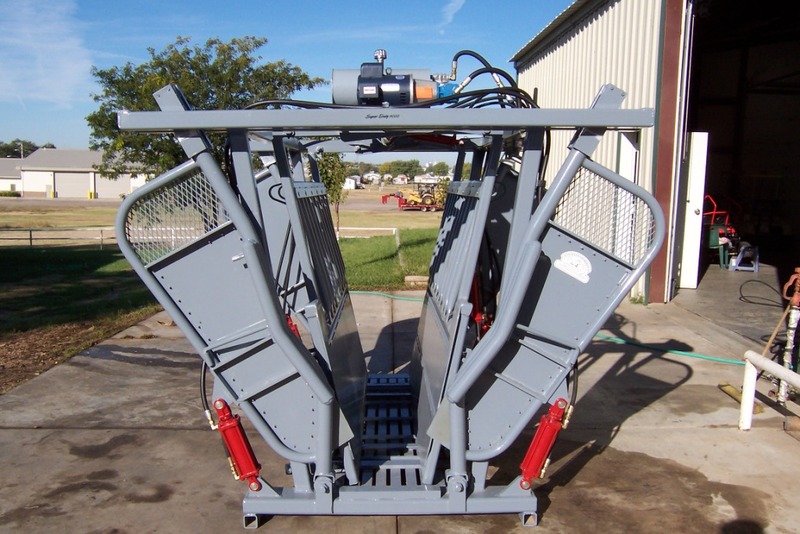 With all these standard features, the Model 5000 Super-duty XL BRUTE hydraulic chute is in a class of its own.